45% of people surveyed think that hiring managers are in the best position to increase diversity, compared to the CEO or the entire HR department. 67% of both active and passive jobseekers say that when they’re evaluating companies and job offers, it’s important that the company has a diverse workforce. Highly inclusive organizations generate 2.3 times more cash flow per employee, 1.4 times more revenue, and are 120% more capable of meeting financial targets. Companies in the top quartile for racial and ethnic diversity are 35% more likely to have returns above national industry medians. 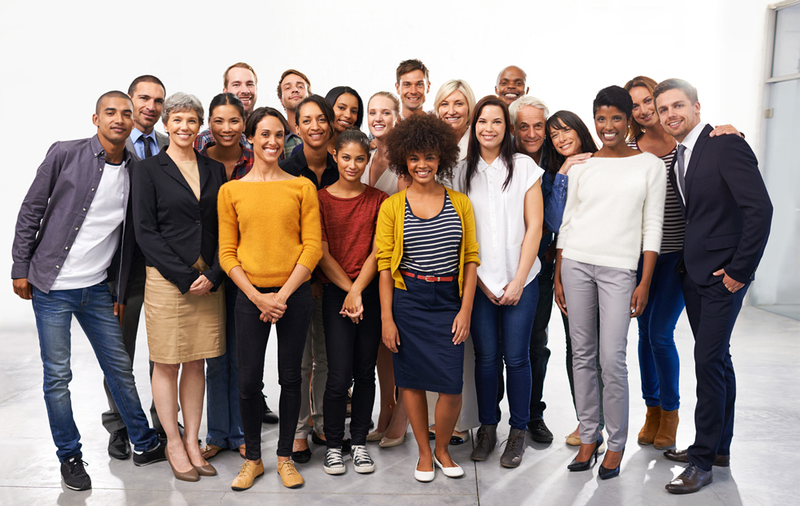 If you haven’t already started the process of developing a more diverse workforce and workplace at your organization, here are three action items you’ll want to contemplate doing as soon as possible. While it’s imperative to follow routine and mandated laws and regulations when recruiting, interviewing, and hiring job candidates, try to move beyond the minimum legal requirements surrounding diversity. Don’t just comply with antidiscriminatory practices; actively make it a point to recruit and welcome applicants with varied backgrounds by seeking them out online and in person. Seek out individuals who have different and varied backgrounds from your existing staff and who can bring new perspectives to your organization. To maintain a diverse pool of talent for your organization, you need to constantly seek out new sources for job prospects. Instead of simply visiting the same universities each year and monitoring the same online job boards, reach out to different groups. For instance, you could work with an advocacy group for veterans to recruit new hires or with an organization that works with autistic individuals. Or, you could work with various local nonprofits and talent agencies that put people to work who live in your immediate neighborhood and communities. To develop a more diverse workforce and workplace, diversity and inclusion need to be top-of-mind at every single stage of each and every employee’s development at your organization. When they’re recruited; when they’re interviewed; when they’re hired; when they’re onboarded; when they’re being trained for new skills; when they’re up for a promotion, and so on. If diversity isn’t a priority at every stage of your talent management strategy, it won’t yield many results for your organization in the long term, as there is no point in hiring a diverse workforce if you don’t consider how you’ll train, upskill, or promote individuals. In tomorrow’s post, we’ll cover six additional action items you’ll want to contemplate doing if you want to develop a more diverse workforce and workplace at your organization.